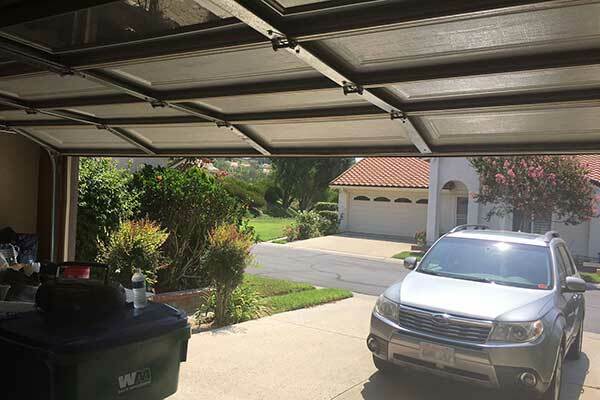 Home Our Garage Door Services Garage Door Repair Services Why Is My Garage Door Making Strange Noises? When our garage door opener makes unfamiliar noises it’s generally because one or more components are being placed under abnormal stress. While some stress is perfectly normal, any noise that wasn’t there before, could be a problem. Pay close attention to the various mechanisms during their normal operating cycle to get an idea of where any unusual sounds are coming from. This way you should be able to pinpoint the problem. What’s more, depending on whether it’s coming from the front back or sides, will determine whether it’s the track, springs or opener at fault. If you detect a squealing or squeaking sound then your attention should be directed towards the tracks, rollers or panels. This kind of noise is usually the result of something skidding rather than rolling so the first thing to look for is a seized roller. If you have an insulated door, it is also possible for the insulation material to come loose and jam up the rollers. Freeing up, lubricating or replacing the roller should get you back on track. Crunching and grinding may be easier on the ears than a full on squeal, but locating its source is important. These types of sounds generally mean that the heavier duty components in your door system are coming into contact with one another. This can be an indication of problems with components such as the chain drive or torsion spring spools. Rattling and clacking can either be erratic or regular, but both mean that something has either come loose or has snapped. These noises are therefore the result of a broken or loose component hitting against moving parts when in operation. Most repairs should be fairly straight forward, but should this noise emanate from the springs, call a trained professional straight away. You can check out our site for lots more free information and don’t forget, we are the experts when it comes to any garage door repair and maintenance services you may need! 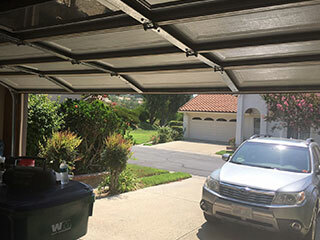 When your garage door isn’t working the way it used to, we’re the company to call. Count on our professional service and expertise to complete every repair job fast. We offer repairs for any type and model and carry a wide range of replacement parts too. Our technician will contact you before arriving. Until then, feel free to browse our website! Garage Door Repair Lino Lakes is at your service!